As you're maxing out your credit cards and ignoring your bills, it might not dawn on you that your credit could be affected. The timeliness of your credit card payments and the amount of debt you're carrying have the biggest impact on your credit score. Mess up in these areas and your credit score will plummet. "What's the big deal with a low credit score," you might ask. Since so many businesses now judge you based on your credit score, having bad credit can make life extremely difficult​, from getting a job to getting a place to live. Here are some of the most common side effects of bad credit. Credit scores indicate the likelihood that you will default on a credit card or loan obligation. Having a low credit means indicates you're a riskier borrower than someone with a better credit score. Creditors and lenders make you pay for this risk by charging you a higher interest rate. If you're approved with a bad credit score, you'll pay more in interest over time than you would if you had better credit and a better interest rate. The more you borrow, the more you'll pay in interest. Creditors are willing to accept a certain amount of risk. However, if your credit score is too low, they might not want to lend to you at all. With bad credit, you may find that your applications are denied. Many people don't realize landlords check credit before approving a rental application. Having bad credit can make it much more difficult to rent an apartment or house. If you find a landlord who will rent to you despite your low credit score, you may have to pay a higher security deposit. Utility companies – electricity, phone, and cable – check your credit as part of the application process. If you have a bad credit history, you may have to pay a security deposit to establish service in your name, even if you’ve always paid your utility bills on time. The security deposit will be charged upfront before you can establish service in your name. Cell phone companies check your credit too. They argue that they’re extending a month of service to you, so they need to know how reliable your payments will be. If your credit’s bad, you may have to get a prepaid cell phone, a month-to-month contract where phones are typically more expensive, or go without one at all. If you're leasing or making payments on your cell phone, you may have to pay more upfront for a new phone or your payments may be higher if you have bad credit. Certain jobs, especially those in upper management or the finance industry, require you to have a good credit history. 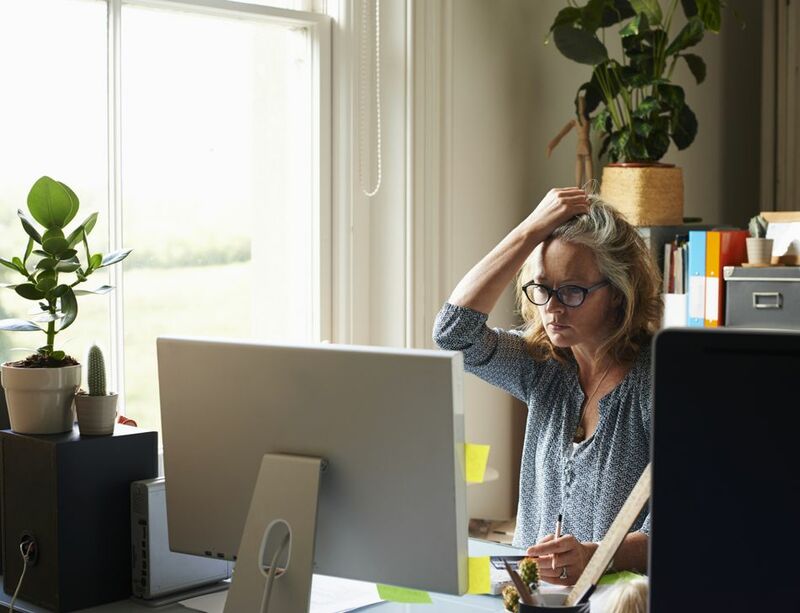 You can actually be turned down for a job because of negative items on your credit report, especially high debt amounts, bankruptcy, or outstanding bills. Note that employers check your credit report and not your credit score. They're not necessarily checking for bad credit, but for items that could affect your job performance. Insurance companies check credit. They argue that lower credit scores are linked to higher claims filed. Because of this, they check your credit and charge a higher premium to those with lower credit scores, regardless of the number of claims you’ve actually filed. Bad credit itself doesn't lead to debt collection calls. However, chances are that if you have bad credit you also have some past due bills that debt collectors are pursuing. Many new businesses need banks loans to help fund their startup. A bad credit history can limit the amount you’re able to borrow to start a new business, even if you have a solid business plan and data supporting your business success. Banks check your credit before giving you a car loan. With bad credit, you might get denied a car loan altogether. Or, if you're approved, you'll likely have a high interest rate, which leads to a higher monthly payment, especially if you buy from a “no credit check” or a "buy here, pay here" car lot.